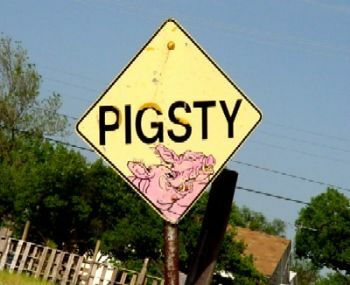 Be it ever so humble, there's no place like your very own Pig-Sty. What makes it that way ... Clutter! No matter how you slice it, clutter multiplies! ... We buy, we clutter. and then we de-Clutter. If you are like me, when things are out of sorts-I am out of sorts. Hard to think. Where did I leave my keys......My purse .... my CAR. You know the feeling when you go to the grocery store and run out the door forgetting your laundry list. Not a clue as to what you are running low on or out OF, nevertheless, you blunder around up, down, and around each aisle trying to fake it when clerks spot you and stop to ask if they can help you find something. "Oh NO! " you fib, 'I know EXACTLY where I'm going!" . ..... So you continue to shop blindly and pitch things into your cart .... showing off your over the shoulder throw hand to demonstrate skill and confidence. And of course you buy the Econo size of mustard only to come home and find you already had three! ... Now you know breakfast, lunch, and dinner for the next three weeks will include LOTS of MUSTARD! ..
Let's face it. Even if you have the cleanest sty on the block, too much stuff makes you feel you are living in a Royal Pig-sty! 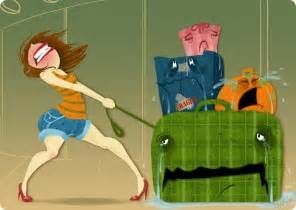 Packing around extra stuff and shuffling it from place to place is a sure way to wear you down and out!. Well I turned our Pig-sty into a PALACE using Spark Guys just TEN MINUTES in the criss cross effect to start and adding more as I could. 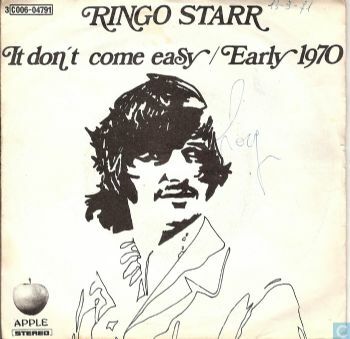 Ringo Starr of the famous four Beatles sang "It don't come easy." ....This Beatle knew the score cause outside of instant pudding or instant rice, nothing worthwhile comes easy, fast or quick. Time is always involved. But the rewards to any of your goals! How does it feel when you complete one and walk in the victory? .... Here are some of mine. Like Sparks ... It sparkles! Everything has a place. No clutter makes for a tranquil cuisine. 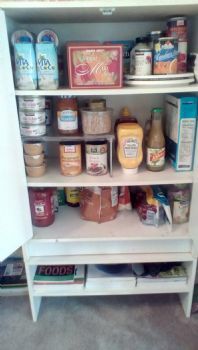 Small pantry; easy to see. I love being able to park my car in the garage and have ample room cos "stuff" is on shelves! 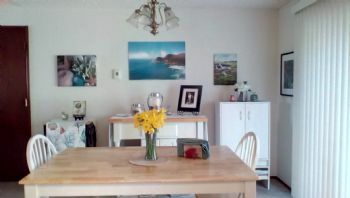 Recently I did a final make-over to both kitchen and dining room for more efficiency. And finished the garage. Did I do this in ten minutes? No, of course not, but I took one room + one small goal and began with even ten minutes focusing on that one goal. I sometimes used the ten minutes and most always at least doubled my time. Plus, every time I start with 10 minutes and more it builds momentum just like building a big snowball, it starts little but goes big! Thanks 2B song "It don't come easy" nice pic of Ringo. Please come to my house and work your Sparkle! My goal is for my garage to look like yours. We bought the shelves to line the walls now its time to sort. Thanks for sharing. You've hit the nail square on the head! I can really relate to forgetting that shopping list and trying to "wing it" and getting it wrong. For August so far I've been applying that "little extra effort" to the kitchen. 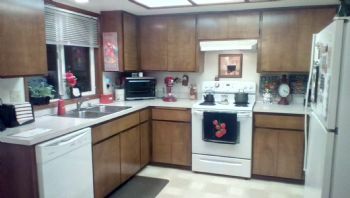 Have gotten the cabinets done and the refrigerator, but am afraid I'll still be doing an extra 30 minutes each day through September to get through the remainder. Wish me luck and good commitment! I am going to make "10 minute cleaning" a small goal for me - starting today when I get off work. Love the ten minute clean up. I love organization and declutter. Unfortunately, my husband can't get rid of a thing and fill any empty space he can find with his stuff. "No, Honey, you'll never fit in the size 32 jeans again. Give it up." Unfortunately, he has hope. I thoroughly enjoyed reading your blog. Thanks for being on my journey. This has been on my to-do-list for sometime. Challenged with homelessness and unstable housing. You should see my car. The much! Wow! Looks really good. I have been busy decluttering and tidying up. Feels so much better all the way round. Yes I am doing my back to school clean out/clean up. I understand! Clutter, declutter, clutter, declutter..... But when it is decluttered, you are right, there is peace! I am looking forward to that for sure. Thanks for sharing and have a great weekend. Your pictures of your decluttering is what attracted me. Thank you for your great blog today! So true about the mustard. I get so overwhelming but need to follow your advice. I can easily find 10 minutes to read on Spark and much more on the internet. Need to spend at least 10 minutes exercising and another 10 cleaning every day. The mustard thing is so funny & true. I'll think, "I can remember 3 things" - come home with a basketful of groceries & items, but miss one of the 3 original things. Next time, & the next, (& next) I remember the missing item. Sigh. 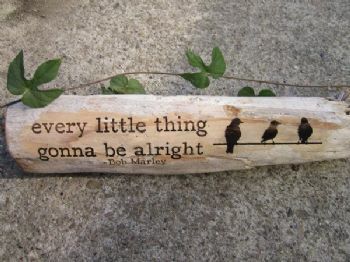 Sadly, I needed this post! I am so sick of clutter! The one nice thing about moving more when I was younger is I was forced to declutter and I rarely accumulated too much stuff. I am so much calmer when things are clean and serene. One of the odd things I like about being snowed in during a blizzard when it is too icy to go outside, is I get bored enough to do intense cleaning as opposed to the bare minimum. I organize everything. I deep clean and actually get into it. Usually I just suffer through such a task when I can no longer avoid. Your home looks clean, organized and calm. I can at least say this, we have pockets of clean and organized. The worst is the room I am in now-the computer/mess room. I sure wish I'd applied the 10 minutes every day for about a year! Getting ready to move next week is killing me! HA! Looks terrific! Thanks for the nudge of inspiration! Always feels good to get rid of clutter and have everything in it's place. Hubby and I decluttered the yard today, looks so nice. Good for you! Everything looks so nice! P.S. Your place looks great! House is clean but still too much stuff. I need to apply this ten minute rule to "ridding out." Wow, your "place" looks fantastic. I only wish mine were as organized. I started decluttering about a year ago but kind of got away from it. I need to set a new 10 minute goal and get busy again. I think I got discouraged because I can only declutter my "stuff". Hubby thinks he needs to keep EVERYTHING because he "might need it someday." Your blog and seeing your kitchen has made me want to get back on track with decluttering again. Thanks for sharing. Living in a 32' camper ( part of the length is the hitch), I have to keep it de-cluttered!! My DH comes in and tosses things either on the kitchen counter, very small, or the table. So I do put things back to where they belong! Now our house that we are camping by is the worst i have ever seen. Our son and family are living there until their house is built. All their furniture and ours is in there and the girls are quite messy. I don't say anything but it drives me nuts when we go into the bathroom, shower and use the laundry. Otherwise we live out beside it. Will be on the road in the very near future so won't have to worry about it until we get back in the spring next yr.
My kitchen has been/is always organized... but, my "den/storage" room has become a "pig sty!" Thanks for the incentive and tips! Yes! This was fun! Love hearing about the two of you being so happy in your "sty" very sweet. I plan on posting on Sunday's about my small goals. Your home looks very organized. As far as forgetting the shopping list, I shopped today and realized when I got home I had several coupons that I forgot to take. duh! Love your blog, great way to declutter. 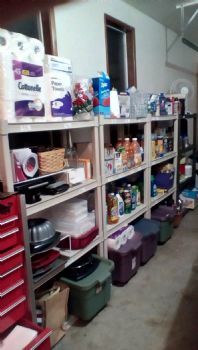 Now that my husband has brought everything in the storage locker, that is what I plan to do---start with commit to 10 minutes to separate stuff that should be tossed, set aside what can be useful for someone( put in fall sale in our park), and what I must have. Knowing once I start, it will want to work longer on the project each time. The storage locker keeps increasing the monthly fee, good time to bring it here and do what we should have done when we moved in. I tend to do things in "small spurts" as well. Every little bit helps! "Just one thing"... that was my naturally neat / tidy / organized sister's version of it. I would commit to do "just one thing" (for ten minutes) to make myself feel I was in fact "working on it". Awesome blog, as usual. I so look forward to your posts. Right now I am staying with a friend as I am separated from my husband, and I decluttered his apartment a little at a time and now it looks like a home and we can actually eat at the table. I look forward to making my own home soon. Thanks for another awesome blog, my friend! Fantastic job on the de-cluttering. You can breathe now, can't you. I'm in de-clutter mode too. I found Flylady a while back and it's helping. The only way for me to start de-cluttering is for everyone who isn't supposed to be living here to MOVE OUT!!! Oh how true. I have been de-cluttering for awhile now. I have my space pretty well taken care of - although I know there are always a few more things. If I leave them long enough, eventually I will say "this has to go". But our garage is AWFUL! And I am not allowed to touch it. This is my husband's domain. I suggest, I remind, and I nag - but the garage is still AWFUL. Last January I made him clean off some shelves in one of our (we have 3) storage areas - he is notorious for throwing junk in a box to "go through later" and later never comes so we have box after box of junk. The next day he says "I was pretty mad at you for making me throw out my things." He threw out nothing important, only things that were obsolete, broken, or hadn't been touched in 20 years. He seems to have a sentimental attachment to everything he has ever owned and it is driving my crazy! Before winter sets in again I am determined to get rid of all the JUNK in both of our outside sheds and what's stacked beside the shed - there is a lot. He's hedging on that one too. We got one shed almost cleaned out but there is a long way to go. Then when winter sets in we will once again attack those storage rooms! Him kicking and screaming all the way! This is an awesome blog and I am taking the 10 minute approach!